The wall-sized menu chart is still there on the wall. It shows the same beloved dishes–macaroni masala veg, chilli chicken with rice, muffin, and brownie. 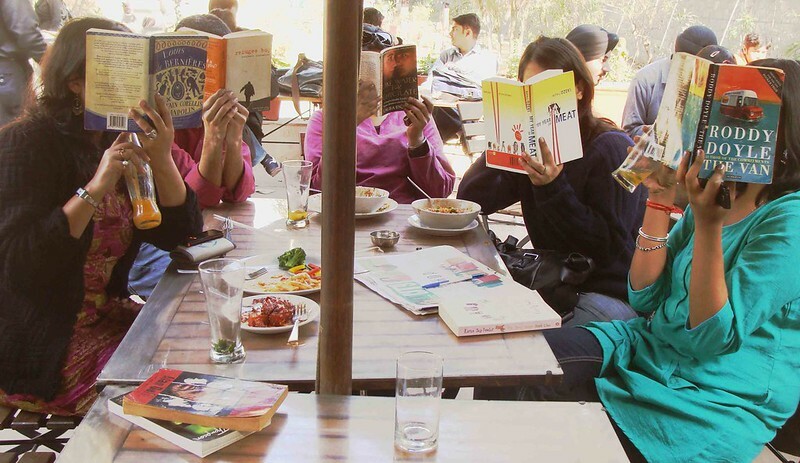 One night The Delhi Walla enters Café Goethe at Max Mueller Bhavan, the German cultural center on Kasturba Gandhi Road. There seems to be no one inside. That should not be a surprise. The café had shut down years ago. 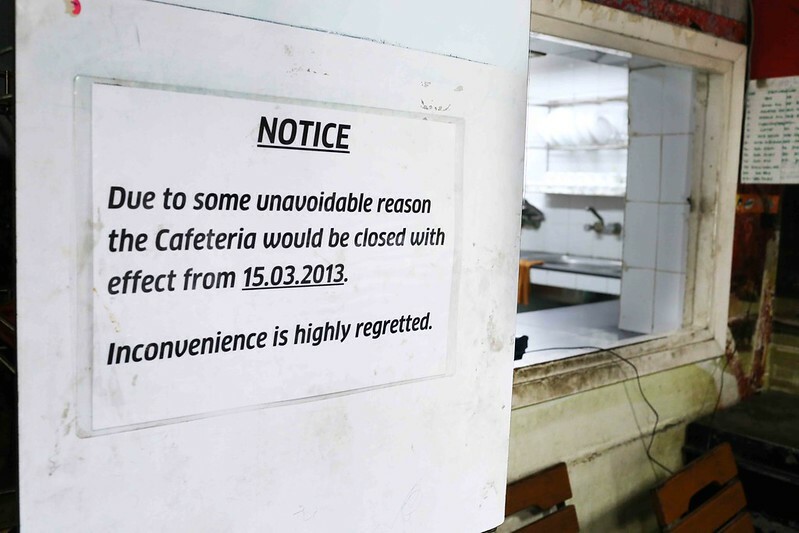 Due to some unavoidable reason the cafeteria would be closed with effect from 15.03.2013. Inconvenience is highly regretted. The kitchen, however, is open. A wet duster is spread out across the basin. A coffee machine stands in a corner. Two men emerge out from inside the store room. 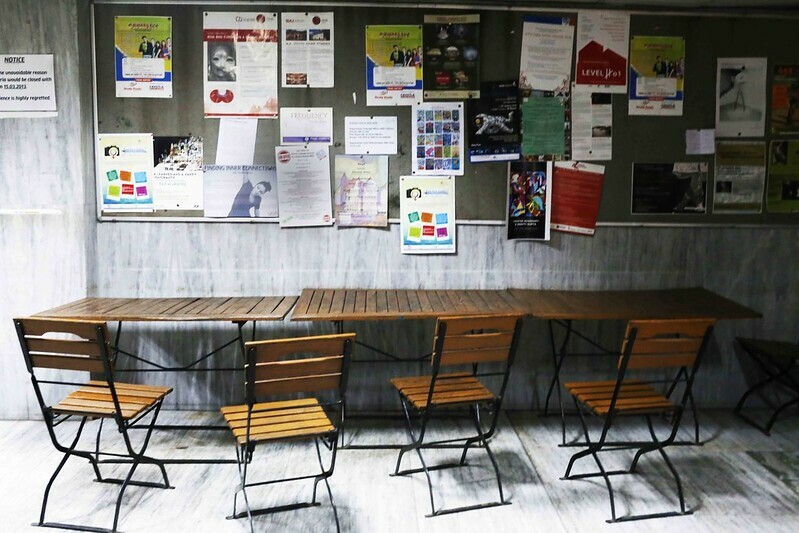 One of them says that the kitchen now exists to provide tea snacks to the Max Mueller staff. 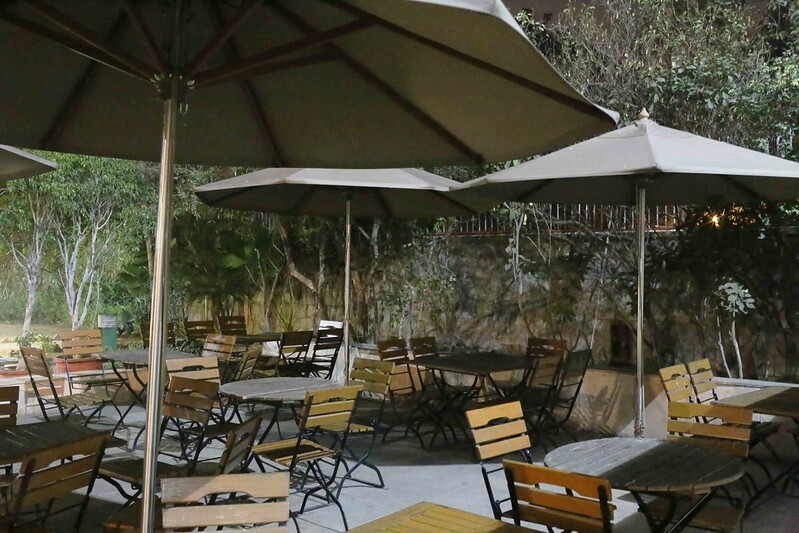 At the height of its glory, Café Goethe was wildly popular among the area’s office-goers—the commercial district of Connaught place is a short walk away. The day-job muggles would come here for lunch (see top picture). The food was delicious and not very expensive, and it was delightful to lounge in the outdoor seating area under the winter sun. The pasta was one of the main draws. 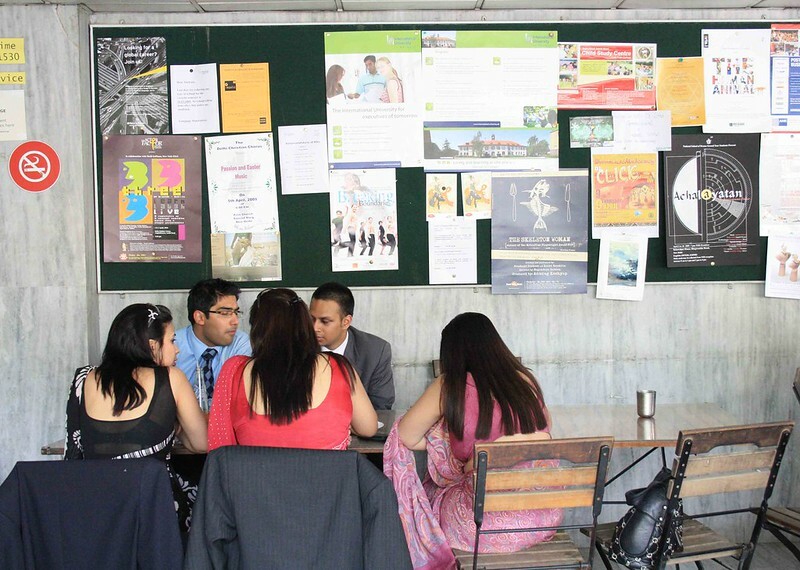 The English-language students of the nearby British Council, too, were regulars. 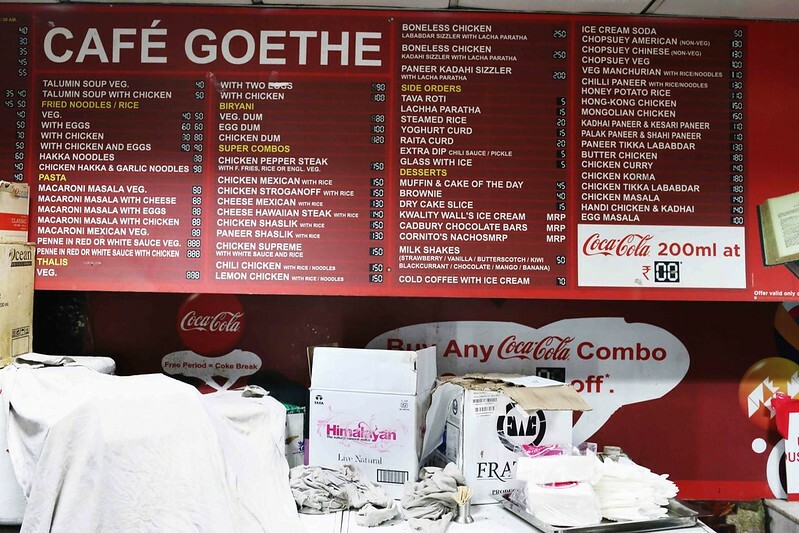 Nobody referred to the place after its actual name; neither did I hear anybody discussing Goethe’s writing. 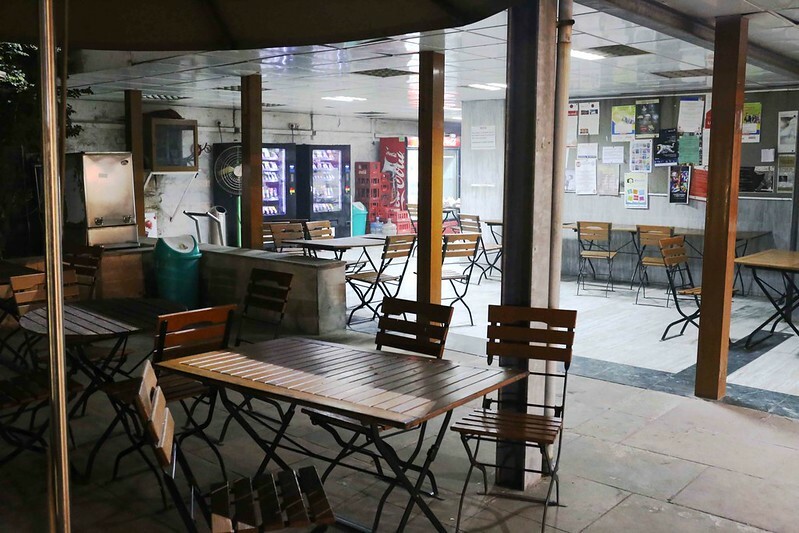 The café was simply called Max Mueller Bhavan Canteen. Curiously, the café tables outside are still arranged the way they used to be in the past. The fridge, too, is well-stocked with cold drinks. Perhaps this place remains in use for the cultural center’s staff. But to outsiders like me, Café Goethe is a lost landmark. Would you believe the date I landed up there the first time 16.03.2013 – yup.. missed it by just a day. 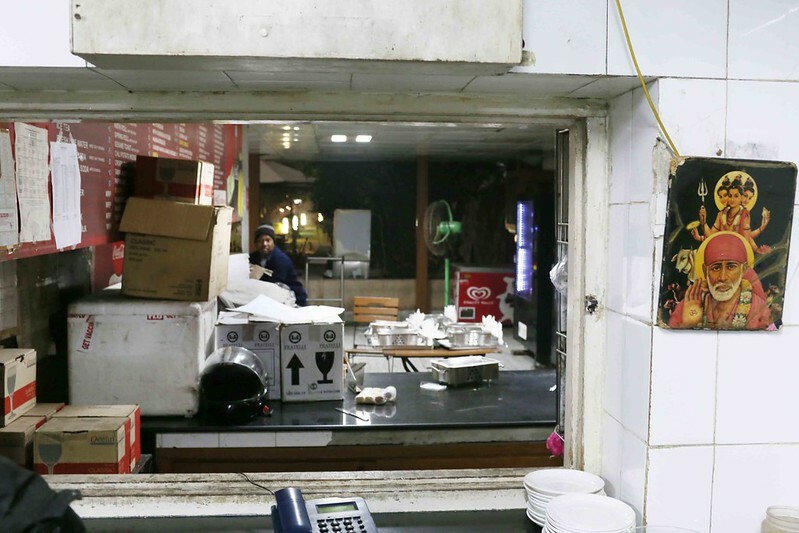 One of the biggest regrets of life along with Chez Nini in Meher chand market, where i was able to sample the desserts on their last night in business and cursed myself for not going there earlier..